Let’s talk about the detective’s sidekick! 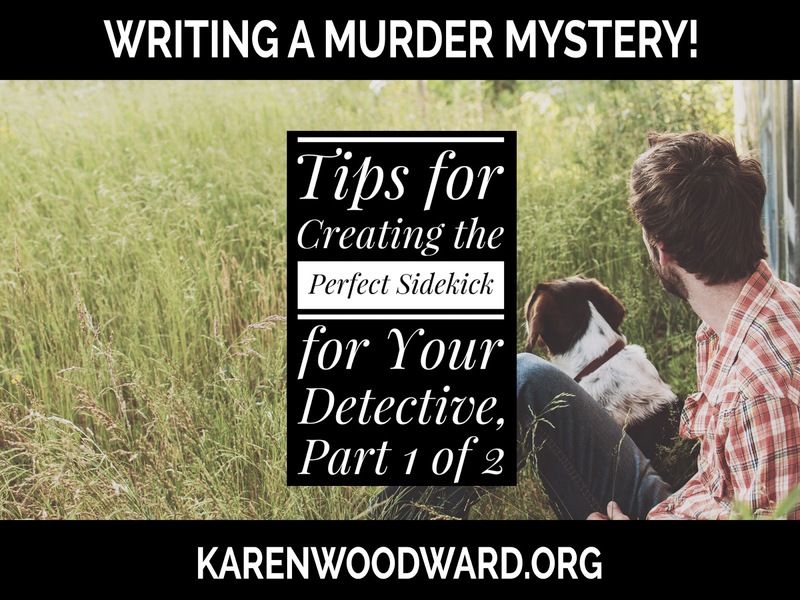 In this post I’m going to begin talking about the general and specific functions of the sidekick in a murder mystery. After we’re done with the theory I’ll step through the creation of a sidekick for the murder mystery we’ve been outlining: Murder in Meadowmead. What is the general function of the detective’s sidekick in a murder mystery? That's easy! 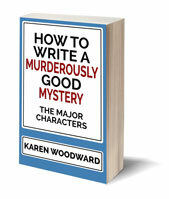 The function of the sidekick in a murder mystery is to be the detective’s foil. As you’ll recall, a foil is a character designed to stand in stark contrast to the detective for the purpose of highlighting the detective’s tags and traits, his peculiar qualities. That’s one thing. Another (closely related) function is to make the detective seem interesting by way of contrast. For instance, to show that my detective is intelligent I’ll need to put him in a scene with a character who isn’t as intelligent as him. And, yes, that’s why The Watson is generally not very bright! Also, though, this process is interesting in and of itself. 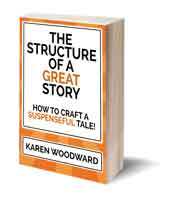 The process, the comparison, increases reader's interest in the characters. Many—most!—tags and traits are relative. For example, Sherlock is brilliant compared to John Watson, but average when compared to Mycroft. Another way of saying this is that when Sherlock is with Mycroft HE becomes the Watson! The rule of thumb is that to show your character’s beauty, intelligence, compassion, and so on, you need to compare and contrast that quality across characters. For example, take intelligence. If you have three characters in a scene, one could be brilliant, one could be average and one could be a few fries short of a happy meal. I'll talk more about scenes and story structure in another post, but here's a short example. Say you have two politicians. One has seen it all, he’s jaded, while the other is a newcomer full of optimism, full of hope. One is a pessimist, the other an optimist. Now give them diametrically opposed goals. This means that although they both could fail to achieve their respective goals, if one of them does the other can’t. For instance, let’s say the newcomer wants open government and the pessimist wants the opposite (I’m drawing from Yes Minister!). So that’s the GENERAL GOAL. (The general desire would be to have the best government possible, a desire they both share—they just have very different ideas about what that would look like). Specifically, let’s say that during the party’s campaign the newcomer promised to only buy computer parts from domestic wholesalers but he discovers his party has placed a major order for computer parts from a foreign country. The newcomer believes he is ethically bound to make the public aware of this illicit deal. The cynic says the newcomer doesn’t know the larger political context of the deal and he shouldn’t release any information until he’s looked into it. The newcomer disagrees and, before he understands the stakes, releases the information. In this example, what are the stakes? This is the key to the scene. The newcomer, for all his optimism, doesn’t have a realistic view of the stakes. It will turn out that this entire situation, this crisis, has been manufactured by the cynic to SHOW the newcomer the realities of politics, to show him the personal (and not just the political) stakes. Now you’re off to the races! Granted, this particular example didn’t use a sidekick, but when your detective and sidekick are in a scene together locking horns they are acting as protagonist and antagonist within that scene. That’s it for today! Tomorrow, Friday, I want to finish talking about the functions of the sidekick in a murder mystery. On Monday we’ll go back to creating our outline and flesh out a sidekick. Today I’m recommending a book every writer needs to read at least once. I try to reread it every year! I’m talking about Writing Tools: 50 Essential Strategies for Every Writer, by Roy Peter Clark.